Gonder Ceramic Arts, Inc., was opened by Lawton Gonder in 1941 in Zanesville, Ohio. Gonder made high-grade pottery decorated with flambe, drip, gold crackle, and Chinese crackle glazes. The factory closed in 1957. 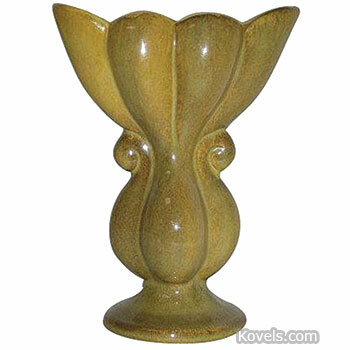 From 1946 to 1954, Gonder also operated the Elgee Pottery, which made ceramic lamp bases. The company used marks with its name in cursive writing sometimes surrounded by a curvy line.